What Really Makes Your Trade Show Strategy Work? 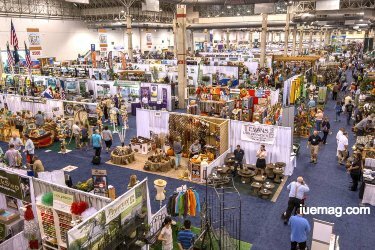 Let's talk about the two least-effective “strategies” for several exhibitors, and what strategies work best for the most common trade show sales as well as marketing goals. Read ON! As Dictionary defines strategy as “a plan of action or else policy designed to achieve a major or overall aim.” So, is your trade show plan helping you reach your sales and marketing goals? Let's look at the mistakes, how to deal with them and amazing approaches to a whole new level of success via trade shows. There is no measurement of past shows or research of potential new shows to alter their show schedule. No measurement of qualified lead counts from booth staffers to identify keepers and staffers to stop bringing to shows. Whoever manages your trade shows should handle hundreds of minute details about shipping, hotels, vendors, executives, plane tickets, timing and even more. It’s a lot to keep track of, and without it, the show does not go on. What gets put on the back burner, then often not done, is training the booth staff on how to generate more leads as well as qualify them in the booth, creating a marketing campaign with the promotions that get more attendees in the booth, better lead management helps to ensure better follow up, and more measurement to then decide what is generating sales and marketing results and what needs to be improved. Do you already have a main business goal that you are trying to get by your trade show activity? It helps to hit a target when you know that, what you’re aiming for. It could be that your trade show goal has been stuck in a rut, and it’s time to re-evaluate, why you’re exhibiting on trade shows today. The common goals are generating leads, rising awareness and strengthening relationships (with clients, dealers). 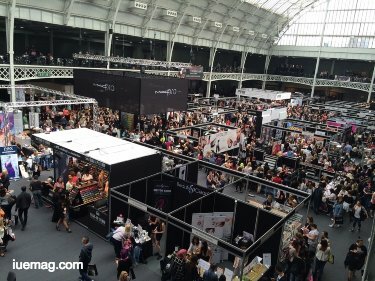 Most companies organise exhibitions to grow their business and help many brands grow theirs. To achieve your primary strategy involves excelling at several trade show tactics, and adapting them to your specific needs. In order to generate more leads, you will need more booth traffic, and then have your booth visitors want to keep on conversation after the show. To acquire more booth traffic, you need to be at shows where your buyers walk, an attractive exhibit, desirable promotions, more and better staffers to get people out of the aisle and into a fruitful dialog. So, do you know what shows have a higher number and percentage of attendees that match your buyer profile? Do you know that what kinds of promotions appeals to demographic? Does you exhibit have enough visual impact to stop attendees? These strategies will surely boost your lead counts. While the tactics you use to take more trade show leads will also help enhance awareness, your focus alters some, if your major goal is to increase awareness. Enlarge your company visibility with an entertainer or else activity in your booth that can create a buzz. You can even use promotion that will get talked on the subject, or a giveaway that everyone will see. Run ads, send email and direct mail, and interact on social media promoting your at-show presence. Get your top subject matter experts placed as speakers at your shows. These actions will also bring you more leads, but they will boost awareness even more. When your goal is to make stronger relationships at trade shows, you are almost always deciding to focus on a smaller addressee than when your goals are awareness as well as leads. When your goal is relationship-building, your show plan extends beyond the booth, to include meals outside exhibit hours, and even special with the most important people you want to bond with. 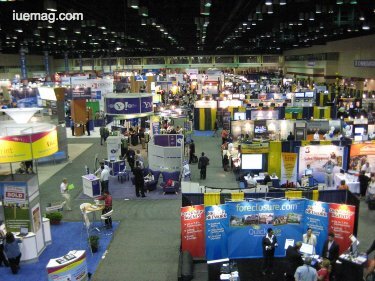 For business-to-business marketers, trade shows are possibly one of the best medium to reach your business goals. I hope you now have improved information on how to focus your trade show strategy so that it helps to reach those goals, to ensure your trade show strategy is working. Any facts, figures or references stated here are made by the author & don't reflect the endorsement of iU at all times unless otherwise drafted by official staff at iU. This article was first published here on 27th September 2017.